There are many different species of chrysanthemum, all with different uses. Some garden varieties have edible leaves whilst others have medical applications. The Pyrethum Daisy chrysanthemum can be used as an insecticide. In East Asia chrysanthemum tea is popular and it is thought to have a multitude of health benefits. By far one of the most common uses for chrysanthemum flowers is the creation of colourful bouquets. Chrysanthemums are the birth flower of November and, as such, make for a wonderful gift for anyone celebrating a birthday during this month. In Australia, it’s typical to gift chrysanthemums for Mother’s Day. The symbolism of chrysanthemums can vary depending on the colour. In general, the flower is thought to symbolise friendship, love, cheerfulness, and optimism. Red chrysanthemums are thought to signify reciprocal love whilst white varieties suggest truth and trust. 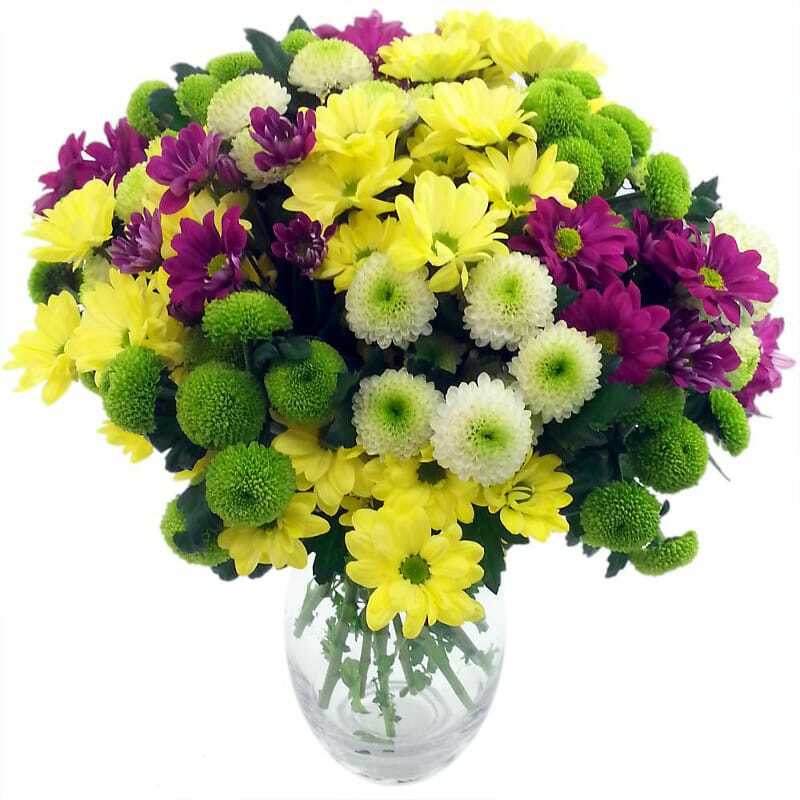 Be careful if gifting yellow chrysanthemums however; these can carry connotations of dejection and slighted love. As well as general flower care practices such as keeping the water fresh and cutting the stems at an angle, it’s a good idea to remove any drooping or damaged buds to ensure the remainder of the head maintains its freshness. In Feng Shui, chrysanthemum flowers are said to introduce peace, ease and balance to an interior space. Japan hosts an annual chrysanthemum festival on the 9th of September. A study by NASA suggests that chrysanthemums can help reduce air pollution. The size of chrysanthemum blooms varies from 1cm right up to 25cm. The Maltese associate chrysanthemums with funerals and believe it is unlucky to keep them indoors.